Five Waste Management workers have successfully completed their Level 2 New Zealand Certificate in Mechanical Engineering – and they’re already thinking about what’s next for career development. 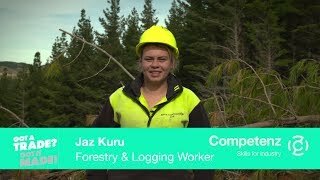 Pamini Taufa, Ricky Atutah, Shane Turetahi, Livi Fata and Clifton Griffiths all work at the company’s engineering workshop in Mt Wellington, Auckland. Their learning journey began in 2016 with an Upskills communication course in literacy and numeracy which included a research project into how they could continue their development. This led to embarking on the Level 2 certificate, which recognises foundation skills for mechanical engineering. It is often the first step of an apprenticeship and many people go on to careers in general engineering, machining, toolmaking, fitting, maintenance and fabrication. To ensure they were set up for success, Waste Management staff continued to engage Upskills to support them through the programme. Rick Oliver, Brett Steel and Debs Wand from Competenz helped to guide them to success. Everyone was there to congratulate the team when they received their certificates on 8 May. Waste Management Managing Director Tom Nickels said their achievements showed the importance of education, not only as a benefit to the company but just as importantly the workers and their families. Nickels commended them on taking the opportunity that Waste Management had provided and encouraged them to not stop learning. Livi Fata, Ricky Atutah, Shane Turetahi and Cliff Griffiths with their certificates. 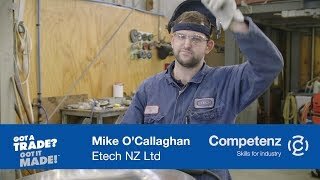 For more information about how Competenz can help upskill your people, contact Business Partner Debs Wand on 021 745 584 or d.wand@competenz.org.nz.